For those who haven’t vaped before, or even seen someone vaping, the whole concept is pretty fascinating. As the token vaper in your friend group, there are often a lot of questions to field when you take your e-cigarette out in front of your non-vaping friends. But, as with anything, the questions can start to get a bit tiresome after the first couple hundred. 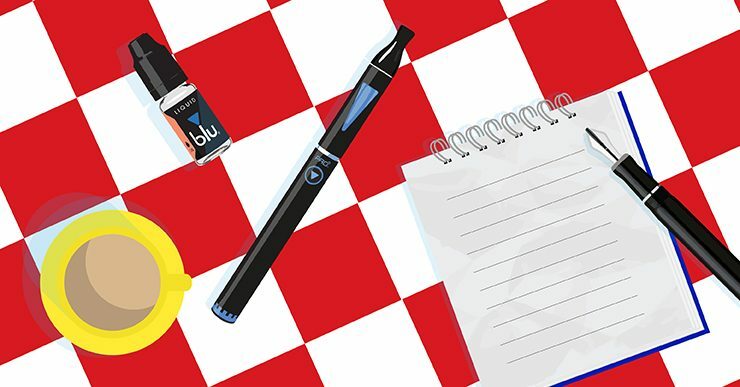 If you’re an avid vaper, you’re sure to have heard all these questions at some point; here, we run through the most common questions that vapers get asked and how to respond to them. Something of an odd question – what’s anything like!? Admittedly it’s only natural that non-vapers would be curious and wonder how it feels to vape, but the question isn’t a particularly straightforward one to answer. To the untrained eye, an e-cigarette might look pretty complicated, but as you know by now they’re pretty simple to use. Get your e-liquid, charge the battery, and then inhale. It’s simple! You can explain to your friends how the e-liquid gets heated up if they’re eager to learn too. E-cigarettes produce vapour by heating the e-liquid that’s inside them. The vapour is made up of water droplets, and for this reason it evaporates after lingering in the air for a few seconds. Most vapour has the faint smell of whichever flavour it is you’re vaping, but again the smell usually disappears after a few seconds. Can I try your e-cigarette? This is often followed by a request to try it – and the last thing you want is your vape being passed round the group like some gross chew toy. Tell your friends calmly that you’d rather they not, no more than they’d like if you clambered over the dinner table and started chowing down on their starter. If they’re genuinely interested, you can advise them to grab a blu for themselves and see what they’re missing. Isn’t vaping different flavours weird? We’ll give this one some credit because typically, when some people start vaping the idea of using a dessert or fruity flavour instead of traditional tastes such as Tobacco or Menthol might seem a tad strange. But as any loyal Cherry or Blueberry vaper will attest, pretty soon you can’t imagine vaping anything else!